Applying for a mortgage jointly means it’s easier to qualify. But things change, and one of the borrowers may leave the house or need to get free of the debt for other reasons. So, how easy it to remove a name from a mortgage, and what are the options for doing so? It’s possible to get somebody’s name off of a mortgage, but the process is typically challenging. This applies to any primary borrower as well as co-signers who helped a borrower get approved. Until you make official changes to the mortgage (or pay it off entirely), everybody will be responsible for the loan, and that debt will reduce their ability to get other loans. Lenders are not eager to take anybody’s name off of a home loan. When they approved the loan, they looked at the credit scores and income of both borrowers together. Especially when it comes to home loans, more than one income is often required to reach a satisfactory debt to income ratio (in other words, many individuals have a hard time qualifying for a mortgage on a family-sized house on their own). All borrowers are 100% responsible for the debt — it’s not 50/50 on a joint loan. If one borrower is unable to pay for any reason (whether it’s financial hardship or one of the borrowers dies), the other borrower needs to keep payments current or pay off the loan. If lenders simply remove a name, they increase their risk and they give somebody a free “out,” which banks are reluctant to do. Unfortunately for co-borrowers, lenders see each applicant as an individual opportunity to collect on the loan. You might think that it’s “our” loan (and in cases of divorce, for example, there is no more “us”), but your loan agreement is not structured that way. Even if a divorce agreement specifies that your ex is responsible for the debt, lenders have the ability to collect from everybody who applied. Ex-spouses may face legal consequences for failing to follow court orders, but you can’t change an existing loan agreement. There are several ways to get a name removed from a loan. Plan on a process that takes some time and involves significant paperwork, but ideally, you’ll be able to put the loan behind you. Start by asking your current lender about changing the loan. You won’t get it all done in one phone call, but you can find out if it’s possible to keep the existing loan with one less borrower. If so, any remaining borrowers (whose names are not removed) will need to re-qualify for the loan on their own. Those borrowers need good credit and enough income to comfortably make the payments, and they’ll need to go through an application process similar to when you originally got the loan. If your request is approved, the lender may provide a release of liability (often used in cases of divorce). If your current lender won’t work with you, try refinancing the loan. To do so, you’ll apply for a new loan and use that debt to pay off the old debt. The person responsible for the loan should apply individually and will need to qualify with sufficient income and credit. Other lenders might be more willing to approve the loan, and you can look at programs like FHA loans (which may have easier approval standards when it comes to the size of your down payment and credit scores). Refinancing is especially difficult when your home is worth less than you owe, or if you have minimal equity in the home. Conventional lenders have strict requirements for loan to value ratios, and you won’t meet those unless you write a big check. Fortunately, several government refinancing programs exist that might help you get a new loan – just make sure you can get the loan refinanced under the borrower you want before you do all of the paperwork. 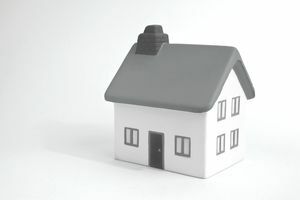 It may be possible to transfer the mortgage to a different borrower. Assumable mortgages offer this feature, but most loans are not assumable. If you’ve borrowed through the FHA or VA, you may have this ability — but it’s worth asking, no matter where you borrowed. If none of the approaches above works for you, you might need to sell the property and use the sales proceeds to pay off the loan. This can obviously cause a disruption for you or your family, and it might be difficult to sell if you’re underwater, so think carefully and get help from local real estate professionals before you make a decision. All of the options above involve fees, so evaluate several alternatives before choosing, and decide who will pay fees. Even if you’re selling a property and receiving money, real estate agent fees and other costs are likely to reduce your take. Among the options listed, a release of liability or a loan assumption are probably the most affordable — they’ll help you avoid the closing costs associated with refinancing. All of the above is true for co-signers on a mortgage. As a co-signer, you’re 100% responsible for the loan, and lenders don’t want to let you off the hook. Talk to the primary borrower about refinancing, and remember that their future is tied to yours. With some loans (student loans, in particular), it is easier to get a co-signer off the loan after a period of on-time payments. However, home loans do not offer the same features. A quitclaim deed will not remove a borrower’s name from a mortgage. With a quit claim deed, an owner can transfer all ownership rights to somebody else, but any loan agreements remain unchanged (giving up ownership does not mean you give up the responsibility to pay). As a result, a quit claim deed can leave a borrower worse off — they owe money on a property, but they no longer have any ownership interest in it. The information on this page is basic in nature and cannot be considered legal or financial advice. Speak with a local attorney familiar with your situation before making any financial decisions.